THE BORO DJs SHOW: Another Funky Ride – Radio for the People, by the People. The Boro Djs set out every week to bring you the sounds your ear’s drums are waiting for. Playing any and everything from Hip Hop to Rock. Jazz to Punk. Soul to Salsa. Good music is good music. So join your host MightyL and the rest of the Family as they embark on a funky ride by way of music. 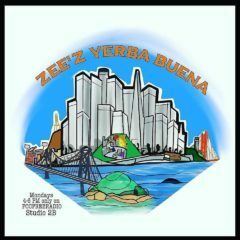 Saturdays from 6pm(pst)-8pm(pst) on FccFreeRadio.com in the world famous studio 2B. Sending you into the Night, Right……CHEA! Happy Holloween! !